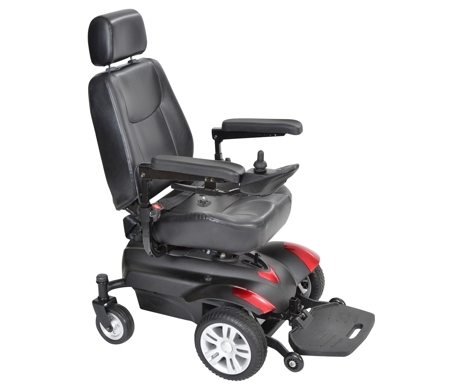 The super maneuverable Titan Power Chair Electric Wheelchair is small in size and are great for mobility around the home and ideal for shopping centres. It can be disassembled without the use of tools, and easily fits into a car for transportation. With a large captains seat, its nice and comfortable to drive for long periods of time. Click the button below to add the Titan Power Wheelchair to your wish list.